Complying with the Workplace Reforms (Auto Enrolment) is one more requirement for employers to face. As Financial Advisers, we provide Northern Ireland’s small to medium sized businesses with an end to end solution for Auto Enrolment Pensions. As an employer, one of the most important concerns will be complying with the regulations in a cost-effective manner. We guide you through this process from start to finish. Avoid Fines for non-compliance which can be up to £10,000 per day! The Auto Enrolment Regulations may have you pulling your hair out but we’re not suggesting you call in the men in white coats just yet. We can guide you through the Company Pension Legislation and guide you right through to complying with your regulatory requirements. We provide Pensions Advice with Simple Solutions that will reduce your workload. Our main goal is to free up your time so that you can get on with running your business in a profitable manner. What will our Auto Enrolment Advice provide? Contact us today to have a chat with one of our experienced Financial Advisers to help you get to grips with the legislation. CLICK HERE to view our website Privacy Notice. St. James’s Place Wealth Management and was established over 40 years ago to provide Financial Advice throughout Northern Ireland. View our website Privacy Notice. Coyright 2019 McGrady Financial Services. All rights reserved. The Partner Practice is an Appointed Representative of and represents only St. James's Place Wealth Management plc (which is authorised and regulated by the Financial Conduct Authority) for the purpose of advising solely on the group's wealth management products and services, more details of which are set out on the group's website www.sjp.co.uk/products. The 'St. James's Place Partnership' and the title 'Partner Practice' are marketing terms used to describe St. James's Place representatives.  McGrady Financial Services Ltd is registered in Northern Ireland No. NI032133. Registered Office: 33 St Patricks Avenue Downpatrick Co Down Northern Ireland BT30 6DW.